The actress sure knows how to pamper her fur babies! We usually think homes of pet-lovers are strewn with dog hair or have chewed-on furniture, but this isn’t always the case! 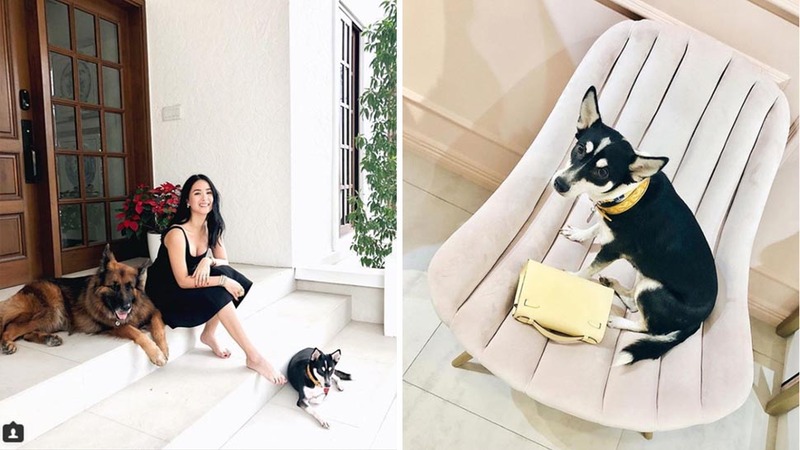 One example of a home that is pet-friendly and beautiful at the same time is that of actress and media personality Heart Evangelista. Set aside a special seat for your furry friend. It could be anything—an ottoman, an occasional chair, or an armchair that has seen better days—if your pet has his or her own special chair, they can join in on your conversation without bugging the other guests. Pet stains can show up easily on suede and felt. Stick to easy-to-wipe-down faux (or real!) leather for your seats. Better yet, spray your upholstery with 3M Scotchgard. Protect your seats with a throw. It doesn't have to be a precious Hermes throw (hats off to Heart for that! ); it could be any department-store-bought throw, that you could drape over an upholstered chair to protect it. Dogs (and especially pups) love snuggling into their favorite blankie. Have theirs on hand to throw onto your sofa or bed to shield it from the shedding fur. Make sure the color matches your interiors! Invest in specialty pet beds. Heart's designer pet beds are sculptural and dramatic and don't stick out in an elegant home. You can find beautiful, metal pet beds at Urban Abode.